Directing child behavior is an art that is rooted in science. The art-side of child discipline has to do with its creative nature. How you relate with a child literally CREATES the person that child turns into. The science-side of child discipline is based on the centuries of observing, analyzing and testing that has gone into the development of our knowledge about child behavior, development and education. To guide child behavior most effectively is to combine these two sides of the process, guided by what we can call present-awareness. in directing the child’s behavior. Your awareness of the child IN THE PRESENT MOMENT empowers you to connect the science of child behavior management with the art of it AS IT APPLIES TO THIS SPECIFIC CHILD AT THIS SPECIFIC TIME. To apply the art-side of child behavior management involves your vision of the results you want, the condition you want to create. Love is as essential as any other factor when it comes to guiding child behavior, because love is the force that lets you “see” or sense what is truly in the best interest of the child. but in the best sense. Love is connected with present awareness because if you are not basing your responses to the child on the present context, you are demonstrating love for your IDEA of the child, but not for whom the child truly is right now. The child who feels loved feels inspired to love back, to relate in a sensitive and caring way with the person who embraces that child in his or her heart. To access the power of science, research the child development, child discipline and child education literature that interests and inspires you the most. Don’t limit yourself to the more traditional approaches. There is much to be gained from the study of the work of Maria Montessori and Rudolf Steiner's Waldorf System. Science, however, is no substitute for PRESENT AWARENESS. Depending on science without present awareness is like driving your car with all of your attention focused on the map instead of on the road. To access the power of love you need to be basically centered in a state of peace, poise and present awareness. To the degree that you feel nervous, impatient, frustrated or anxious you block your ability to register the guidance of love that flows from your heart. Child discipline without love sets up a contentious relationship between the adult and the child. The adult is focusing too much on control and not enough on connection. This incites more resistance from the child and turns into a battle of wills. The more challenging the child’s behavior, the more difficult it may be to remain tethered to love, because the child’s behavior threatens your desire to feel in control. One of the most demanding and important tasks for successful child behavior management is remembering to trust love rather than fear. Help the teachers of your school or district enjoy easier child behavior management in the classroom. 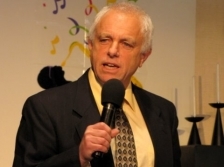 Bob Lancer's motivational team building seminars and trainings for school staff are UNIQUE in that they combine motivational team-work training AND positive, stress-free child behavior management tips that work. discuss this further. Let's help our teachers now!